Question: My husband is abusing me—what can I do about it? Answer: If you are in a life threatening emergency, call 911; when you are safe, you can contact Centro de la Familia’s Crisis Line for domestic violence counseling, advocacy, and safety planning. Question: Is there any housing available for me and my children? If I leave my partner, how do I get him to support me and my children? Answer: When you contact Centro de la Familia for services, a thorough assessment will be completed and resources such as child support enforcement as well as housing resources and safe house options will be discussed with you. Question: My kids are out-of-control and don’t obey me—is there help? Answer: There are numerous sources of children’s out-of-control behaviors, and Centro de la Familia provides parenting classes to improve the parent child relationship. Children in the Hispanic/Latino community are adjusting to a diverse culture and as they reach new developmental stages, and peer pressure may affect their response to parents and other caregivers. Centro de la Familia’s parenting education program, Criando Hijos, addresses these issues in a culturally competent environment and assists families in development of parent practices that work for them. Question: My partner and I are fighting and is there counseling for this? Answer: It is typical for most intimate partners to argue when problems about finances or children arise. Centro de la Familia’s licensed therapists help assist couples in developing communication and conflict resolution that are right for them. Question: I am undocumented and my husband is hitting me and my children and is threatening to have me deported. I don’t want to be separated from my children—what can I do? 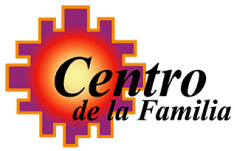 Answer: Centro de la Familia works with numerous families who are undocumented. We can evaluate your situation and provide resource and information about your rights and refer you to local immigration attorneys. Question: I am feeling anxious and depressed—can I get help with this? Answer: An individual’s anxiety and depression may develop from several sources—Centro de la Familia’s licensed therapists can assist individuals in identifying these sources and coping skills to manage their symptoms. Question: I don’t have insurance, how can I pay for counseling? Answer: Victims of domestic violence and/or any other type of crime receive services at no cost. We also have a sliding fee scale that is based on a client’s ability to pay.